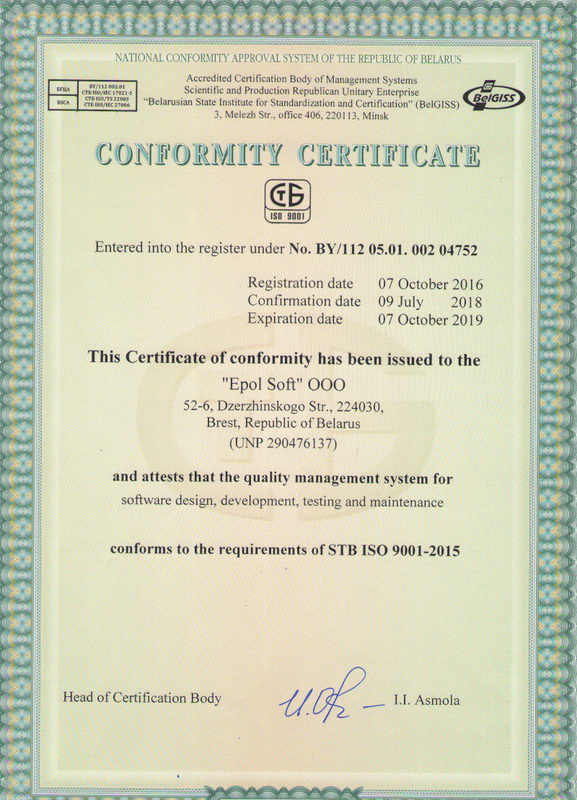 In July 2018, Epol Soft successfully certified Quality Management System (QMS) for the compliance with STB ISO 9001-2015 and DIN EN ISO 9001:2015. The given system is used for designing, developing, testing and maintaining software. 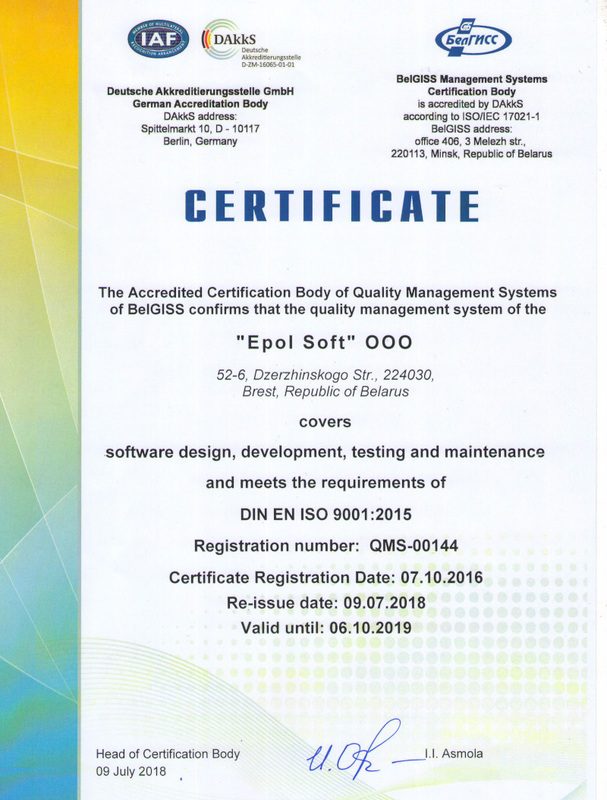 Getting ISO certificate emphasizes the ability of our company to supply the software that meets the consumers and laws requirements. Furthermore, this confirms Epol Soft intention to improve the quality of the provided services. ISO certificate DIN EN ISO 9001:2015 is accepted by the members of International Accreditation Forum (IAF). That means that our Quality Management System is certified for clients from more than 60 countries, which are the IAF members.